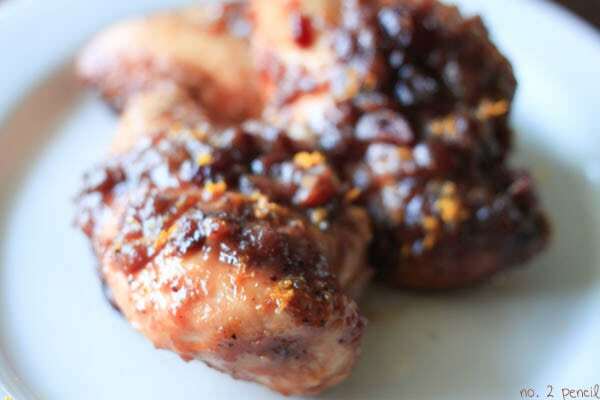 You are going to love this Slow Cooker Cranberry Orange Chicken. These are boneless, skinless chicken breasts made in the slow cooker with an amazingly flavorful cranberry orange glaze. So many of you ask for easy slow cooker recipes that use boneless skinless chicken breasts, so I thought it was about time I started sharing! We could not stop saying how good this cranberry orange chicken was during dinner. My husband and I kept looking at each other and saying, “This IS really good.” Even better, it is so easy to make. Just throw the ingredients in the slow cooker. When the chicken is done, reduce liquid in the slow cooker in a large skillet to make a tasty glaze. These chicken breasts are delicious and beautiful. Perfect for a week day meal, but lovely enough for company. In the bottom of a slow cooker, stir together cranberry sauce, orange juice, and dried cranberries. Place seasoned chicken breasts in slow cooker. Cook chicken breasts on low for about 4 hours, or until breasts reach 165 degrees. Remove chicken breasts and transfer liquid to a wide sauté pan or skillet. Bring liquid to a boil, then reduce heat and simmer until mixture thickens. 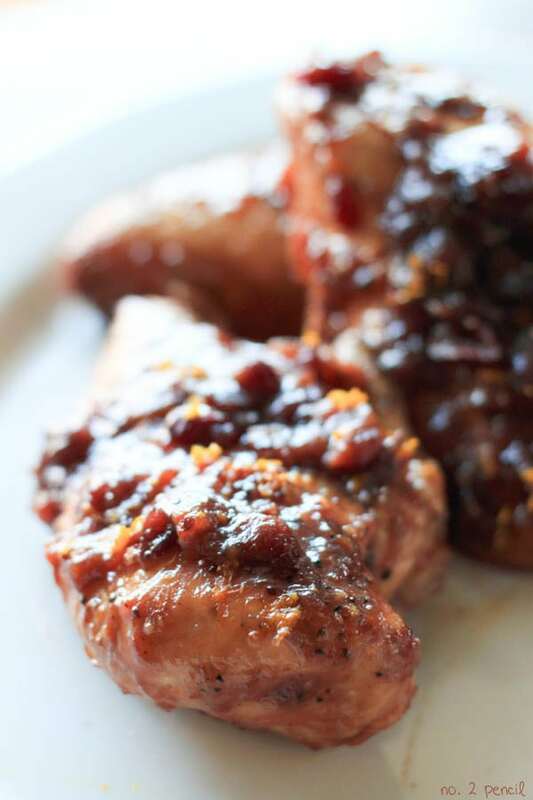 Serve cranberry orange glaze over chicken breast. Use a large wide pan to reduce sauce. More surface area in the pan allows the sauce to reduce quicker, and dinner to be ready sooner! You can see all of my Slow Cooker Recipes here! Thanks for the recipe, this was a big hit at my house, my grandson is 11 and he is currently going back for the fourth time, lol! Does anyone know if this can be put together and frozen and cooked later? This recipe looked so yummy I had to try it! Cooked it for dinner guests and it was a huge hit!! It’s definitely going in my regular meal rotation. Thanks for sharing it.